It’s been more than a week since the launch of Pokémon GO, and it’s safe to say that the game has become the most successful title for mobile in ages. 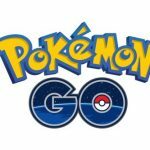 While runaway successes like Flappy Bird and Candy Crush Saga won gamers over due to their simplicity, Pokémon GO has won gamers over because of two things – its augmented reality setup, where you can hunt virtual Pokémon in an actual real-world setting, and due to the nostalgia factor involved for its largely millennial fanbase. Those adorable pocket monsters are indeed back in the public eye with a vengeance, and if you’re up to the challenge, you’re going to want to live by the franchise’s immortal catchphrase – gotta catch ‘em all! Aside from catching ‘em, all, you’ll also have to evolve them and power them up, and you won’t be able to do that without Candy. Candy is one of the many key resources in Pokémon GO, and we did touch on this topic a few times in our earlier strategy guides for the game. In this brand new Pokémon GO strategy guide, it’s going to be all about the Candy, as we talk about different ways in which you can get more of it, including Candy for your rarer characters. At the end of the day, the most basic way for you to get more Candy for your Pokémon is to catch them yourselves. For each Pokémon you capture, you’ll get three Candies that correspond to them; unlike Stardust, which benefits Pokémon on a general basis, Candy is specific to different types of Pokémon. Given the common way we suggested, it would be very easy for you to gather Candy that corresponds to common Pokémon, but you may find it a bit more difficult (or a lot more difficult) if you’re talking about Candy for any kind of rare Pokémon. Another common way for you to get more Candy is to transfer any one of your Pokémon to Professor Elm. Now you should make sure that you’re transferring a character whom you don’t need around anymore, as the transfer process is irrevocable; you cannot undo things once you’ve conducted the transfer, or get your Pokémon back after the transfer has been done. You’ll only get one Candy per transferred Pokémon, but then again, one unit is much better than none at all, right? 3. About Starter Candy – How Does The Process Work? The term “starter Candy” may suggest that gathering this type is quite an easy task to pull off, one that can be done by mere beginners. But since starters are already rare enough as they are, that makes gathering starter Candy much tougher than it sounds. Even with that in mind, there are still several places for you to find and hunt starters, particularly those who occupy the bottom of the evolution totem pole. For example, this would be Charmander or Bulbasaur as the first Pokémon in their respective evolution trees. Also keep in mind that candy corresponding to a starter would also correspond to all their evolution levels; that means Charmander’s Candy would still work on Charmeleon and Charizard. Rare Pokémon, as the term itself suggests, are harder to find. Likewise, rare Candy is also tougher to acquire. But you can still find rare Pokémon in random places, and you can also do this by hatching eggs. You are capable of storing nine eggs at a time, and in order to keep things flowing, you’ll have to be continually hatching eggs to ensure none of your inventory space goes to waste. Eggs can be hatched while you’ve got Pokémon GO turned on as you drive, ride your bike, or go jogging. Some have even taken the route of flying their planes around in a drone, though we believe that may be a little too extreme; trying to make your eggs hatch by driving or doing physical exercise appears to be a better, and simpler way to hatch them. In order to increase the chances of acquiring rare Pokémon and their rare Candy, it’s best to work toward increasing your experience levels. Rare Pokémon are more likely to appear more often as you keep leveling up in the game, so with that in mind, you should go to areas that have lots of Pokéstops, and collect all the items and experience you could while you’re there. That’s one of the better ways out there to gain more experience, so keep leveling up, be patient, and those rare Pokémon might not appear to be so rare anymore in due time. Once again, more rare Pokémon means more rare Candy! Like we said in previous guides, it’s always a good thing when you get a duplicate character in Pokémon GO. Those who don’t play the game might find it wasteful to have more than one Pokémon of the same kind, but there are benefits to having more than one Pokémon of one type; Pidgey and Rattata are among those that come to mind as characters with tons of duplicates. If you’ve got more dupes, you can get more Candy for that particular Pokémon. 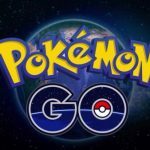 Need more hints to succeed in Pokémon GO? Click here to check out our collection of tips and tricks for this immersive game!